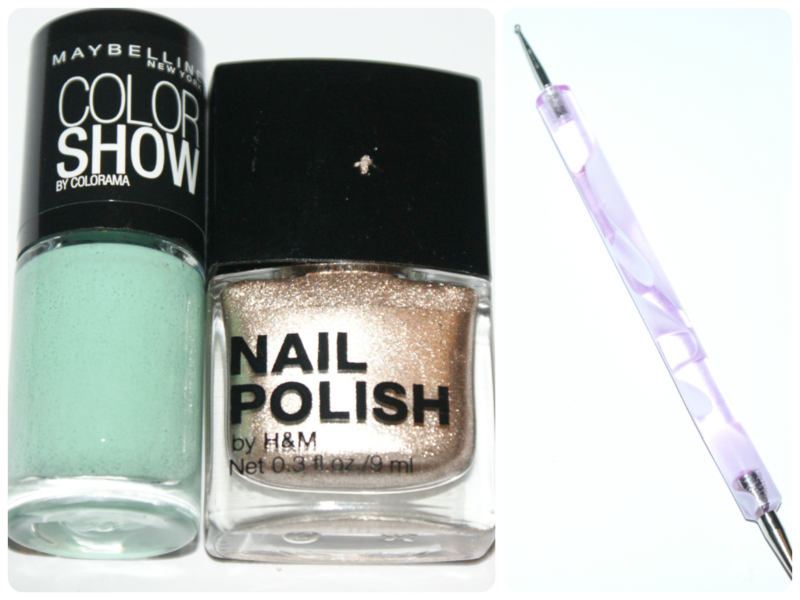 Here's a quick nail of the day featuring Maybelline's Color Show in Green with Envy and H & M's Wawawoom (see swatches here). This is the first time I have used the Maybelline Color Show nail polish and they are very nice to use; creamy, opaque and quick to dry. 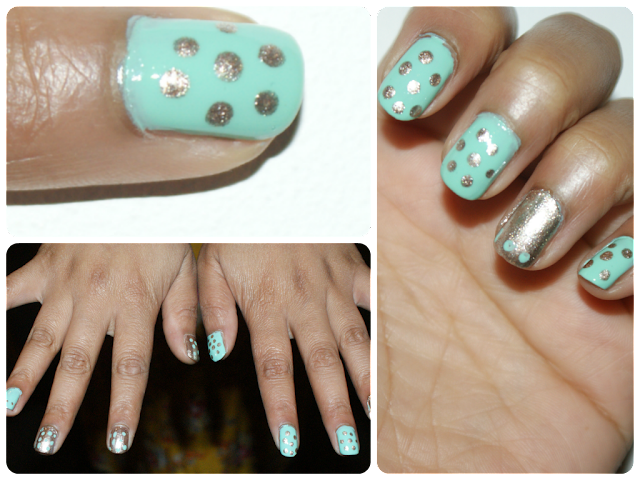 I used 2 coats but I could have used 1 only if I was better at painting my nails. I can't comment on longevity as no nail polish lasts more than 24 hours without chipping on me as I am really clumsy. I used a dotting tool to err make dots?! Excuse the not perfect paint job, I don't have steady hands. Nail Bloggers, how do you guys paint your nails so perfectly and take super awesome photos? ?